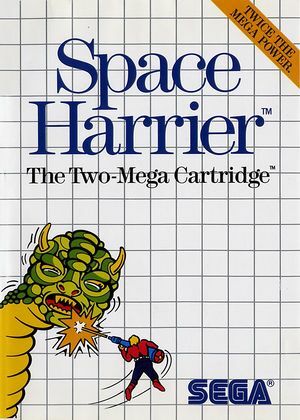 Space Harrier is set in the "Fantasy Zone", a surreal world composed of bright colors and a checkerboard-styled ground. The enemies are also unique, featuring prehistoric animals, Chinese dragons, and alien pods. The player is forced along the levels, running or flying around enemy fire, while shooting back with fireballs via the character's under-arm cannon (which doubles as a rocket-esque device allowing the character to fly). The character graphics are sprite-based, though the level backgrounds are pseudo-3D. The graph below charts the compatibility with Space Harrier since Dolphin's 2.0 release, listing revisions only where a compatibility change occurred. This page was last edited on 28 December 2017, at 14:49.